Submitted by Migrate Wizard on 2015-04-22 09:44. 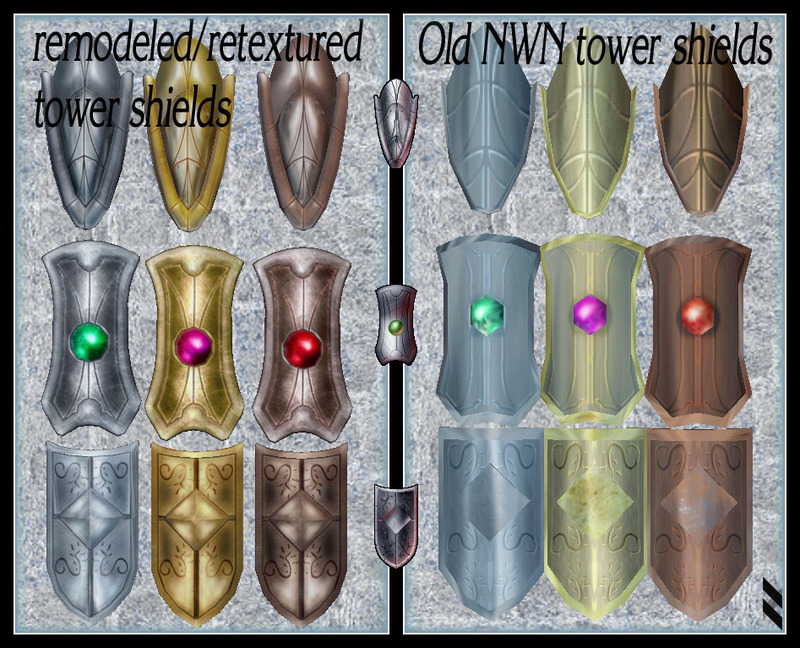 Remodeled/retextured original nwn tower shields 11,12,13,21,22,23,31,32,33. 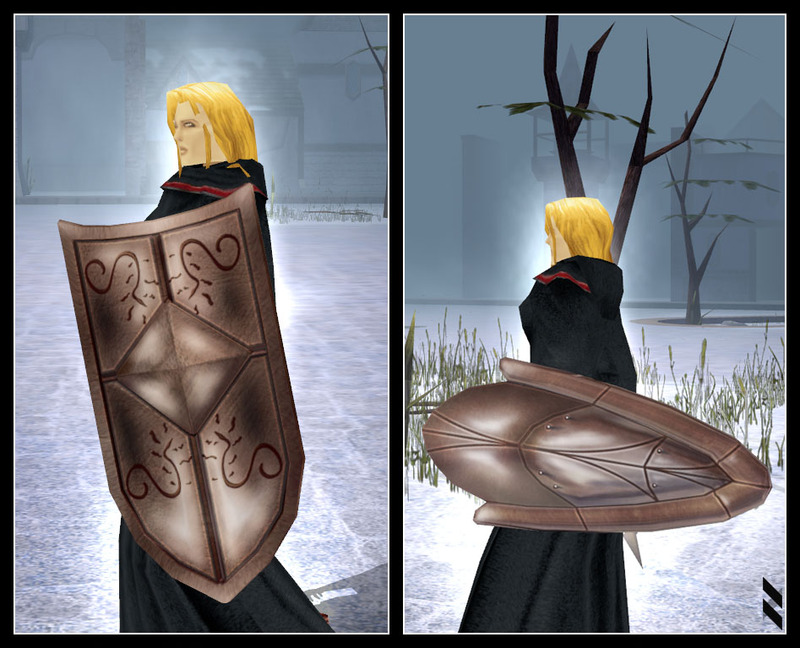 Shields are inspired by the icons, rather than the original models. Only "issue" would be that there are some rather unnecessary dents and edges, especially from behind the shield. Other than that, absolutely impressive, highly recommended, might as well turn into a game feature instead of a mod. An overlooked gem, it seems! Recommended for any override/patch hak.